airBaltic, Latvia’s largest carrier, will resume domestic flights with a thrice-weekly service between the capital city Riga and Liepaja, a Baltic coast resort 196 km away. The 40-minute flights will be operated by Bombardier Q400 NextGen regional turboprops, the airline has reported. One-way fares will start from 15 euros, taxes and fees included. The new route complements airBaltic’s existing service between Riga and Palanga, a resort town in neighboring Lithuania located 63 km away from Liepaja, says CEO Martin Gauss. 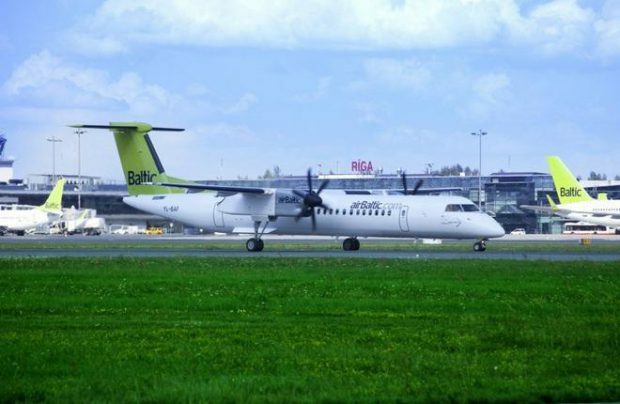 The Liepaja service will offer “convenient connections to the resort destination for airBaltic passengers traveling from the other 60 cities served by the airline”. The launching of the new route was preceded by extensive renovation at Liepaja, which was cleared to handle domestic flights in September 2016. According to Sesks, before closing for reconstruction in 2014 the local airport had handled almost 45,000 passengers and 2,700 flights. The renovation project, which cost 9.7 million euros, was co-funded by the municipality and EU sources. Latvian broadcaster TVNet reports that airBaltic used to operate flights from Liepaja to Copenhagen, Hamburg, and Moscow between 2006 and 2008. In December 2016, airBaltic’s new Bombardier CSeries CS300 narrowbody medium-range jetliner performed a 20-minute test flight between Riga and Liepaja but could not land because of the descination airport’s restrictions. This prompted Latvian Communications Minister Uldis Augulis to suggest that the carrier find a way to connect Liepaja with other destinations, which would be equally beneficial for the population and for airBaltic itself. He also suggested that other carriers might be interested in flying to Liepaja as well. According to Latvian newspaper Nasha Gazeta, there are plans to restore another small domestic airfield, Jelgava, with Chinese investments. The project launch was originally planned for 2017. Another Latvian airport, located in the settlement of Tukumsa near Jurmala and Riga, also is reportedly prepared to handle domestic flights, and has obtained all the necessary approvals. Its favorable location promises an extra appeal for tourists. However, industry experts believe that Daugavpils airport, which is equidistant from Russia, Belarus, and Lithuania, has the strongest development potential. It also offers a longer runway than Liepaja.